ESET NOD32 Antivirus gets solid results from independent labs and has a fairly fast full-system scan. Its strong selection of additional support products, like a Host Intrusion Prevention System that defends against malware which takes advantage of system exploits, make it a strong contender for a personal antivirus. However, some elements of ESET NOD32 Antivirus may be too complicated for the average user to take advantage of, like the elaborate Device Control system; however, if you have a small business, you may be able to take advantage of the precise control ESET NOD32 Antivirus offers you. While ESET NOD32 Antivirus isn’t the first name that comes to mind when you’re considering antivirus protection, it should be one you look into. It has a fast full-system scan that flags safe programs after your first use, making subsequent scans even quicker, and it scores well with both independent labs and hands-on tests. ESET NOD32 Antivirus’ malware blocking is nearly as good as some more expensive antivirus suites, and the Host Intrusion Prevention System (HIPS) defends your computer against script-based attacks. ESET NOD32 Antivirus has weak anti-phishing protection, though it does better than not having any protection at all. And while its Device Control system can provide an additional layer of protection, the dizzying array of options makes it more complicated than the average user is going to take time to understand, meaning most users are simply going to leave this option disabled. ESET NOD32 Antivirus is certainly an antivirus suite that’s worth looking at, especially if you’re someone who understands Device Control and has a need for it - for example, if you’re a small business owner or have sensitive data on your computer that you want to protect. Plus, it’s fairly reasonably priced for the protection it provides and the extra features it comes with. However, if you’re looking for something a bit more substantial, we might suggest checking out a few of the other suites we’ve reviewed, like Kaspersky Antivirus or BitDefender. When looking at independent lab tests, ESET NOD32 Antivirus scores good but not outstanding, receiving an 80% for Protection & Performance and a 92% for Software Features. However, ESET NOD32 Antivirus received 100% for Ease of Use, and it also receives a 83% overall for its available features. Simon Edwards Labs, who puts products through some fairly tough real-world testing, gave ESET NOD32 Antivirus a AAA certification - the highest available. ESET NOD32 Antivirus also receives a higher-than-average score in Virus Bulletin’s RAP (Reactive and Proactive) testing. ESET NOD32 Antivirus is priced fairly similarly to other antivirus programs with its scores and features, costing $39.99 for one year of coverage for one device or $59.99 for 1 year of coverage for 3 devices. There are other available antiviruses that are more affordable, but ESET NOD32 Antivirus has some unique features that make it worth the cost. ESET NOD32 Antivirus also offers a free 30-day trial to test the system, and the company provides a 30-day money-back guarantee if you’re not satisfied with the system. ESET NOD32 Antivirus protects against viruses, malware, ransomware, and spyware. While the anti-phishing mode isn’t the most powerful, it is included. ESET NOD32 Antivirus also features an exploit blocker, cloud-powered scanning, script-based attack protection, and automatic updates. The Device Control system is a large part of ESET NOD32 Antivirus’ appeal, if you know how to use it; it provides you with a lot of control over your information, protects you against data theft, and allows you to whitelist (or blacklist) devices depending on your preference. The user interface is also fairly easy to understand and gives you easy access to your security tools, your setup, and help and support as needed. BESET NOD32 Antivirus is easy to download, both as a free trial and as a licensed purchase, with an installer that walks the user through setup. The user interface is clean, though the ESET mascot may be off-putting to some people, and gives you access to a system scan, all of your tools, and an easy ability to update the program as necessary. ESET NOD32 Antivirus’ interface also lets you know at a glance whether or not you’re protected and if your attention is needed. One of the major benefits to ESET NOD32 Antivirus is the relatively fast full system scan. 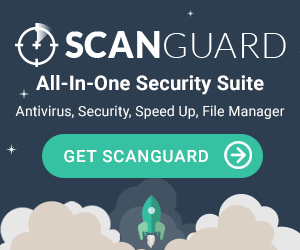 Plus, ESET NOD32 Antivirus skips scanning programs that it’s already identified as safe, which means that subsequent scans go much more quickly. ESET NOD32 Antivirus also has no noticeable effect on your system runtime, which means that you can use your device normally while a scan is being conducted or while ESET NOD32 Antivirus is running in the background. ESET NOD32 Antivirus comes with free US-based support that’s available both over the phone and through email. Support options are accessible through the user interface, or through the support tab on the ESET website. They also provide a collection of video tutorials and a fairly thorough knowledge base with top solutions for common problems. However, their phone support is not available on weekends. If customers wish to, they can reach out to ESET through Facebook or Twitter as well; the company does its best to be accessible and assist with any problems customers may have. Internet connection required – for product activation & updates and for access to some features. ESET has been in business for over 25 years, with a goal of making the digital world a safer place. With over 100 million customers worldwide in over 200 different countries, ESET’s vision has expanded to a desire to make sure everyone can enjoy the breathtaking opportunities that technology has to offer. With a commitment to education, research, and development, ESET provides a wide range of protective products for home users, small businesses, and large corporations. ESET employs over 1,000 people, including some of the world’s leading computer security experts, and is a top-4 global security vendor. ESET NOD32 Antivirus is a solid antivirus program with some interesting additional features. If you’re someone who can make use of the Device Control system, ESET NOD32 Antivirus is a great choice, with fairly strong scores in anti-malware defense and the ability to protect against ransomware and spyware. If, however, you’re not interested in the Device Control system, we might suggest checking out some of our other comparably priced antivirus suites. You may find one that has more features you’ll use. Overall, though, ESET NOD32 Antivirus is a good program and would work well in a home setting. "Over the years I've been testing different antivirus software suites both free and paid, and pretty much was going down the list to find one that will cover my needs. I have both laptop and desktop computers that I use on day-to-day basis for my work. Security of my business documents and client files is my top priority. So far I've really enjoyed using esetnod and it is very user friendly (especially when you are over 50). It does prompt you when suspicious files are being downloaded which is great, and, I don't mind it at all as long as my computers and personal data are safe. Already recommended it to my associates and they also seem to enjoy using this software. " "I did use this for a few weeks, and it did do what it said it would. A few more features than a home user's version but works well. Very few false positives." "I have used ESET for about 5 years now and love it....have not had any issues with the software and will continue to keep using them." "ESET sets a standard for anti-virus and computer security. I highly recommend ESET to students who need anti-virus and I have heard several IT administrators from many different industry's praises it." "Been with Eset nod32 for the past 10 years now on an enterprise version. Solid product with excellent support"
"This is a very good product overall, with the ease of use in mind. I used this product's free version as a backup and to scan other computers, then I decided to get on for my own use and haven't been sorry. It has already found a virus that got past the other product I used. This is a great product"
"have never had an issue as long as I have had this on my computers. Large footprint makes it indestructible to hackers. For the money it is awesome and customer service is excellent to work with when you renew your subscription." "I can honestly say I have never had a problem with Virus's again since switching to ESET Internet Security. Pricing is very reasonable and will put other AV's to shame"
"This is the best online protection software that money can buy." "Simply the best protection money can buy." "It is a great AV! You can literally install AV, run scan, and never open the UI window ever again (unless you need to troubleshoot)! It's pretty much set and forget, the firewall is simple and obstructive, and the AV updates and uses real-time behavior blocker. You can schedule scans, too." "Been using many Antivirus software but none is like ESET. The fastest and lightest out of the rest. No computer lags while running scans. Operating silently in the background not disturbing me with pop-ups and irritating alerts. High real-time scanning performance... wild viruses that others can't detect ESET can detect it! ESET is always my trusted Antivirus." "The interface is simple and easy to navigate, and I'm very satisfied with how the software runs in my PC's background without using a lot of its resources. I've been using it for years now and I haven't had any issues with it." "ts light on resources now it has more security stuff it has a good detection rate"
"Does not lag games, has core features and doesn't bottleneck the computer with useless extra/ additional features. Has an interactive firewall so i can only decide which programs can have access to internet. Very lightweight database update and legit performance." "ght on pc,awesome protection with all important features and never had any virus problem with having Eset in my laptop." "Fast. Does not slow your computer down like most antivirus. Protects against harmful things. Good site security." "clean, very low resources, detects everything, allot of settings to customize"